All Starz periodically holds Parent’s Night Out. Parents – need a night out? So do the kids! Parent’s Night Outs are for children ages 4 & up. Kids have a blast doing open gym, games, crafts, movie time, pizza, & fun galore. Celebrate your Birthday like a star at All Starz Academy!! No need for you to worry about setup, cleanup, or activity planning - Let our staff do the work for you. Party guests will fly across the gym on the zipline, race through our huge inflatable obstacle course, bounce on the trampolines & inflatables, plus play active games. We are certain this will be a fun filled & memorable experience that the birthday boy or girl will never forget – no experience necessary to have a fantastic time! Go to our "Forms" page on this website to download to download a copy of our full Birthday Party Information & Contract. The Winter Gamez Gymnastics Meet is held in December at All Starz! Every All Starz Gymnast from the babies in Buddie Starz on up through our Competitive Team is invited to enter! This is a special opportunity for the students to show off the many skills they have worked so hard to learn!! Parents, family members, & friends are all invited to watch, video, & take pictures of their favorite gymnasts!! It will be a memorable experience for all!! 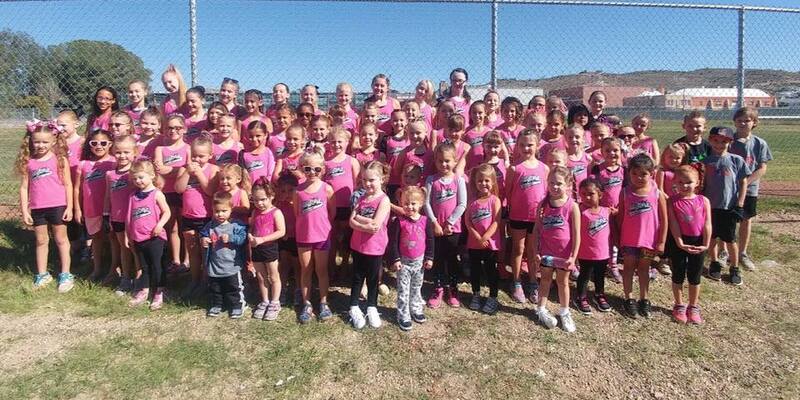 This is such a wonderful event for the All Starz Gymnasts. You won't want to miss it!! Every gymnast will be awarded for their efforts & treated like the star they are as they compete their gymnastics routines!!! The Cartoon Classic is another hosted All Starz Meet which is similar to the Winter Gamez but held in the Spring. Every All Starz Gymnast plus out of town competitive teams are invited to participate. Every gymnast wins beautiful awards for their efforts on their routines. This is an exciting event which every member of the family can enjoy! Every fall & spring we hold our semi annual dance recitals on stage. Every All Starz recreational & competitive dancer is invited to perform. This is the highlight of the year for the All Starz Dancers & families! All Starz holds an annual exciting Summer Day Camp. The students receive valuable training in gymnastics & dance Tuesday - Friday from 8 a.m. to 1 p.m. Friday from 12 to 1 p.m. is the parents' exhibition & awards. All Starz Sleepovers are the best! We start the evening out with two hours of Open Gym. Then we play games, have contests, do the spotlight treasure search, watch movies, and eat. There's not much time for sleeping! All Starz holds its annual fundraiser in the fall at All Starz. Students are awarded ribbons, prizes, & trophies for top fund-raising & cartwheeling.